After reporting on Damien Cullen and his quest to raise the budget for his forthcoming short film 'Clowning Around' I just wanted to make you aware of a poster competition he and his team are running. Rather than get a specific graphic designer on board Damien is inviting people from the online filmmaking and creative community to design a poster for the film, which will be seen far and wide and used for their festival exhibition and any published art for the distribution of the film. 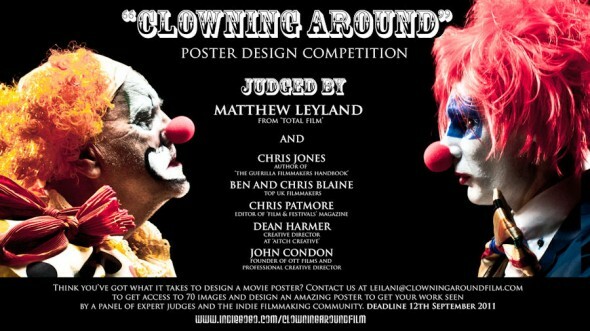 To be judged by Matthew Leyland of 'Total Film', Chris Jones and the Blaine brothers this really is worth getting involved with.